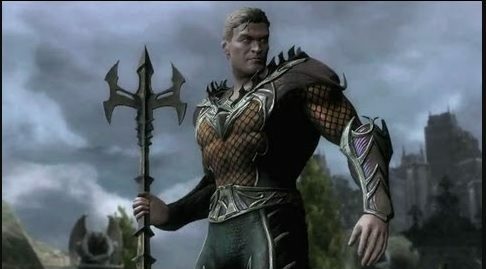 This page contains a character guide for Aquaman in Injustice 2. Here you’ll find movelists, combos, juggles and strategy guides and recommended gear for the Hero character. For more Injustice 2 content, head over to our Injustice 2 top page. Born to a human father and Atlantean mother, the hybrid Arthur Curry is the rightful heir to the throne of Atlantis, and has sworn to protect the surface world against the monstrous dangers of the deep, and the bountiful oceans against evil men. A human-Atleantean hybrid, Aquaman possesses a plethora of powers well above the average of both species. Aquaman’s most famous power is his ability to command all life within the sea, controlling them and commanding them to do his bidding, such as sharks, giant crabs, or even the legendary kraken. The number of sea life he can direct and command at any given time is unknown, but very large, as he was able to summon an entire swarm of massive crab beasts to counter Superman’s Regime forces. Meter Burn R2 (must press R2 in the middle of Trident Rush). Aquaman recovers from hit reactions quicker and allows him to slip out of combos and attacks. Water of Life can be activated during a hit reaction. Aquaman’s trait allows him to recover from hit-stun quickly for a small amount of time, giving him a natural combo breaker. Below are combo and juggle inputs for Aquaman, including corner strategies and restarts. Aquaman possess a very good zoning game in Injustice 2. Among his two best options for keeping opponents at bay is his Trident Toss and Tentacle Slam. The latter can be annoying to the point that your opponent will always be moving or jumping towards you to close the distance. At this point, you can try to mix up the Trident Toss and Tentacle Slam when you’ve created good distance between your opponent so he won’t ever get close to you. Occasionally, you can also use Trident Rush for quickly punishing any whiffs your opponent may make, or as a quick follow up some of his other moves. Should you be on the receiving end of combos, you can activate Aquamana’s Character Power (Water of Life) to immediately recover before sustaining any more damage in the process. Aquaman wears an orange scale-mail tunic and dark green leggings. At his waist is a silver belt that is clasped with a stylized letter “A.” He also wears silver gauntlets on his wrists, and silver greaves. He wears Atlantean metallic armor on his chest that has a purple tint. 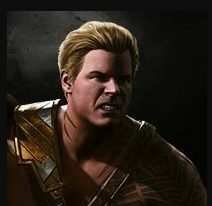 Aquaman very much resembles his default appearance. However, in this appearance, he wears a sleeveless scaled shirt, black gloves with a greenish-purple tint, and additional armor plating. Regime Aquaman also sports a beard. Aquaman is voiced by Phil LaMarr, who voices the character in Young Justice. The alternate Aquaman mentions Black Manta and Ocean Master (initially believing that the main Aquaman is working for one of them) this would seem to imply that they haven’t been killed by, nor forced to join, the One-Earth Regime by the time that the two Aquamen met. Despite what is listed in his bio in the Archives, Aquaman cannot fly. In the mobile version of Injustice, Regime Aquaman’s second special attack is “Trident Rush” and it visually resembles the Trident Rush move in the console game; however, the upgrade card reads “From the Deep”. This might be a leak of the (unreleased) main universe Aquaman’s second special attack.